Indeed it did (or so it seams)....ha! Seams/seems!!! I did some scraping w/ the hobby knife to smooth things out. Only a coat of paint will tell. Apparently some sort of blue is the correct color for the uniform. 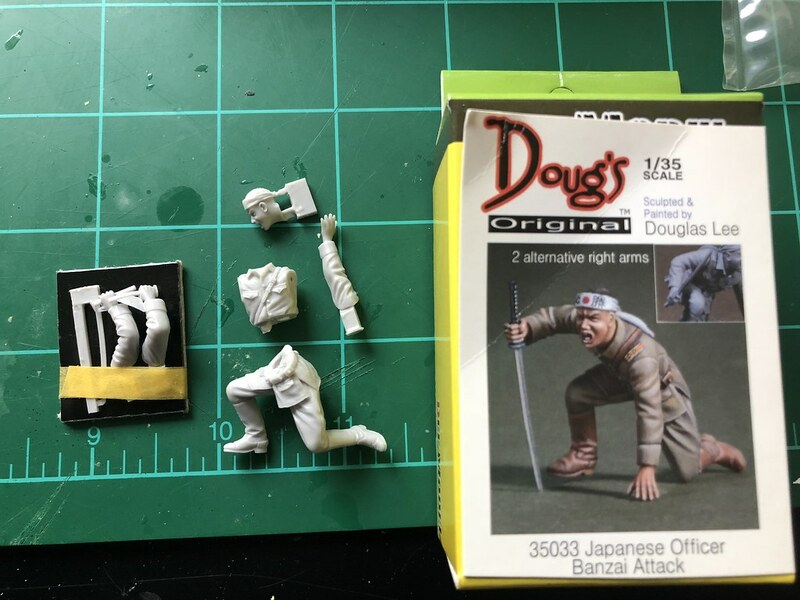 And in other news...the seller on amazon that I bought the Japanese officer figure from sent the wrong figure so I’m having to deal with that. Going to send back the set I got but thankfully the original figure I ordered was sent today. Hopefully soon I can see what I’m working with. 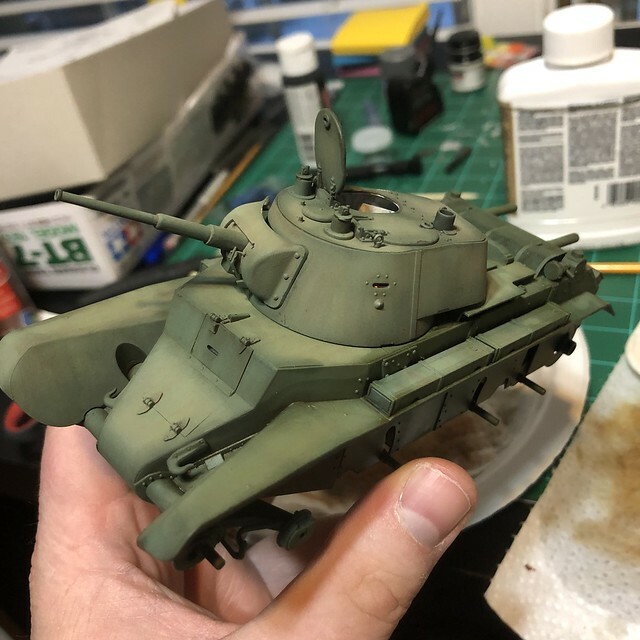 Weather hasn’t cooperate with being able to airbrush the tank though I did bring the compressor and airbrush up to the apartment with the wife’a blessing. Got the paint on. It was done in three layers. An almost black green, the base color, and a few (maybe a little too many) drops of white added to replicate the fading. Painted it by mixing craft acrylics that I bought this weekend. Trying to practice mixing colors for the figures when I graduate to oils. 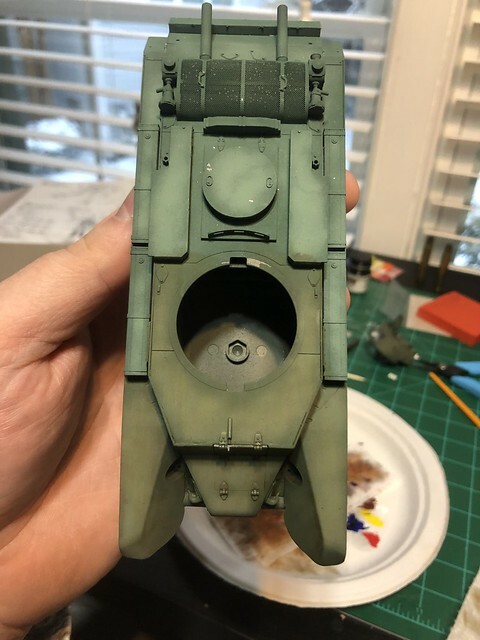 Green isn't quite the hue/tone I wanted it to be but for first time mixing my own colors I'm happy with it. The fading is a little too light, almost looks like a winter vehicle, BUT I'm sure when I weather with the dot filters it'll darken it down. Outside and indoors. That came out very well, Josiah. Nice, smooth paintwork! Thanks! 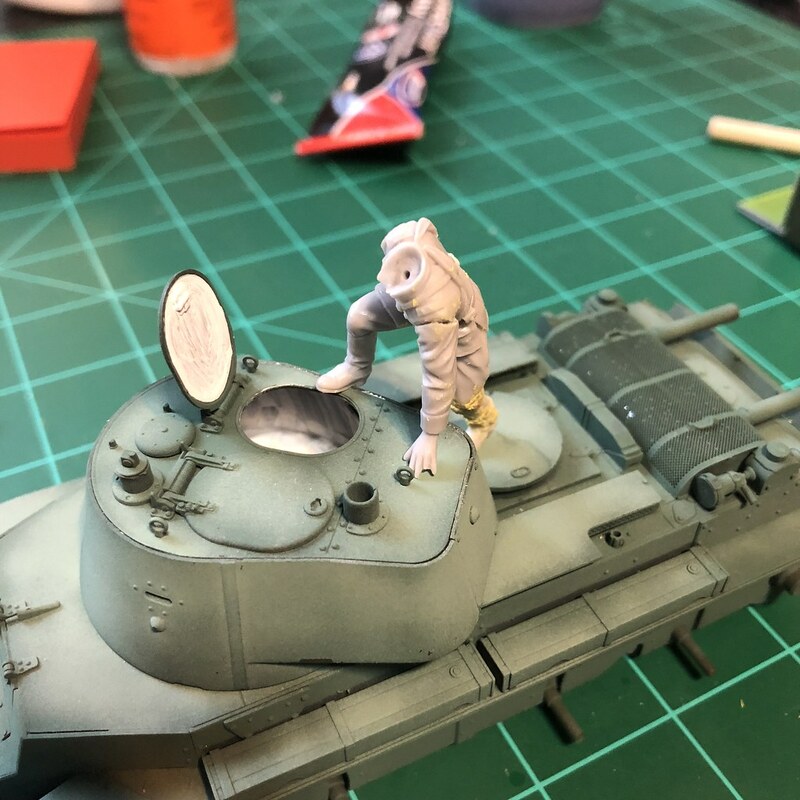 I got the Japanese officer in the mail yesterday finally so that got me to the bench after work today and I tackled the tank commander. I'm waiting for the pics to upload then I'll post them. Here he is...used craft acrylics. Vallejo (with some white red and black mixed in) for the face. 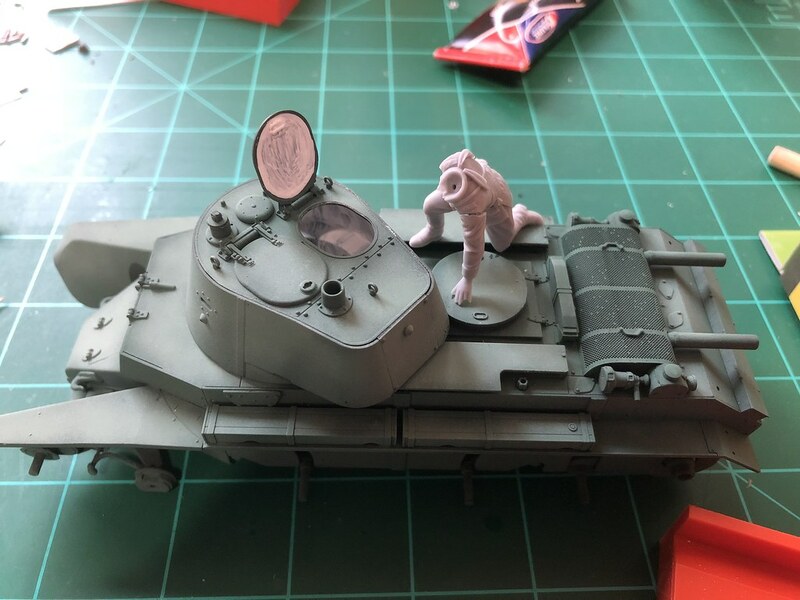 And tentative positioning in the turret. 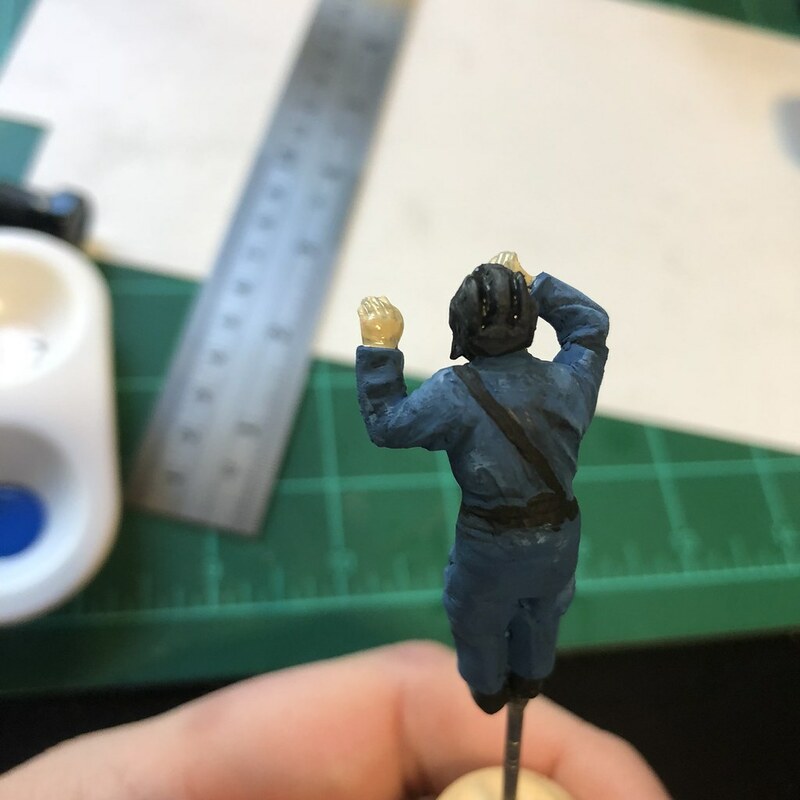 Started the Japanese Officer today. Here it is from the box And what it'd look like as is. 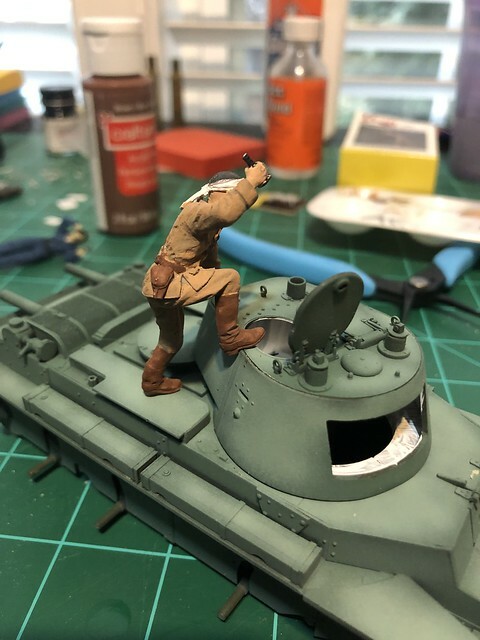 I really like the action poses you're building into the figures. Very appealing! I haven't been on finescale in a few years due to work. I got a new job and completely forgot about this group build and I'm going to start back on my build. Welcome back, it's good to see you on here again ! Yes, very good to see you back around, ww2psycho. It's been too long! How's the job going? I hope it gives you some time to build things. My last job went to 12 hour rotating shifts so I had no motivation to build. Last year I got a new job and its all 8 hours unless covering for vacation. 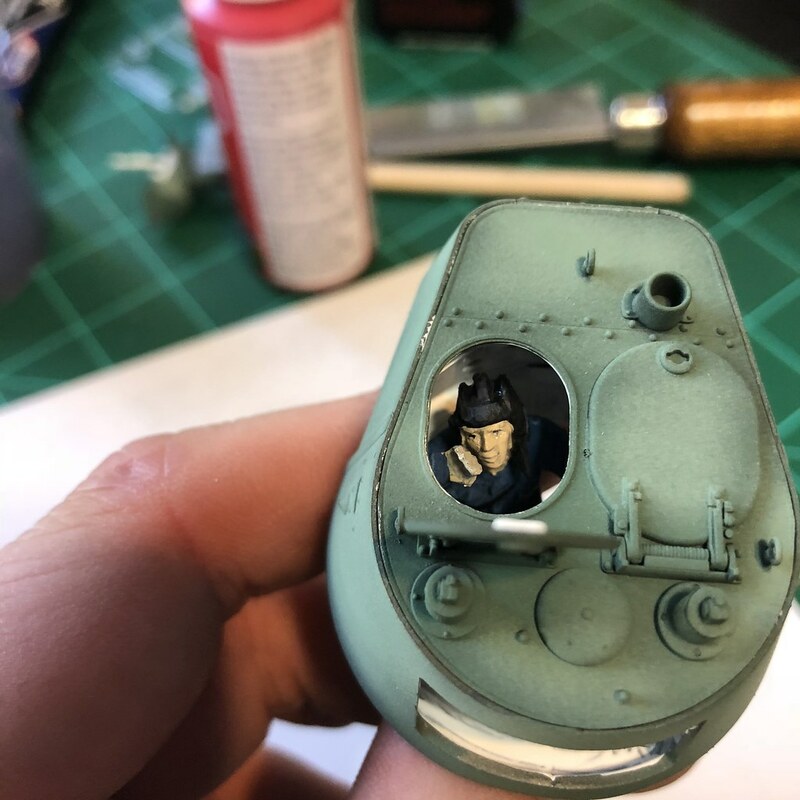 Since being there in September I've finished a Hasegawa Kate, Tamiya P-47, and I did a Monogram B-25H that's now in the EAA Museum in Oshkosh, WI. 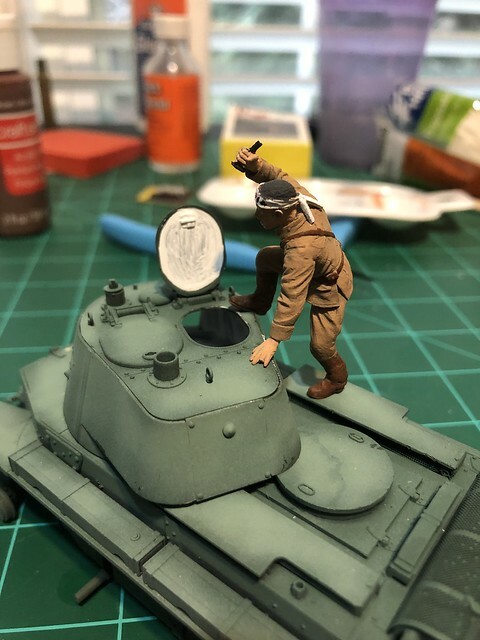 All are 1/48. Work can certainly interfere with modeling. That's great, having a B-25 in the EAA museum! Congratulations! It's been a couple of years since I've been over there, but next time I'll make a point to look for it. If you go and remember, its in one of the cases under the big map on the wall. It's Barbie III. Thanks for that info, psycho. 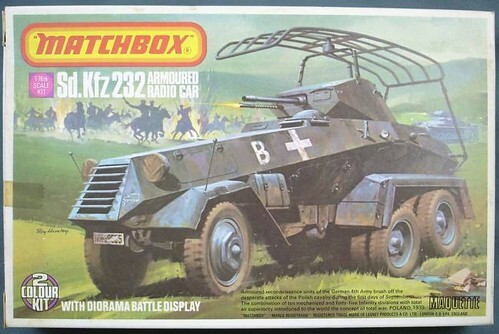 Having done the Matchbox Panzer II for the 1941 GB, and being a bit keen on Matchbox at the moment, I have a thought that I'd do each of these yearly GBs with a different Matchbox armor kit. If it's ok with you, I'll withdraw my Spitfire from this GB, and enter this kit instead. No problem, Tony. I've updated the build roster to reflect you switch. Your plan sounds like a good one. Looking forward to seeing it unfold! Thank you CMK. I'm starting it soon. I've finally found some time and motivation to get back to the bench yesterday. 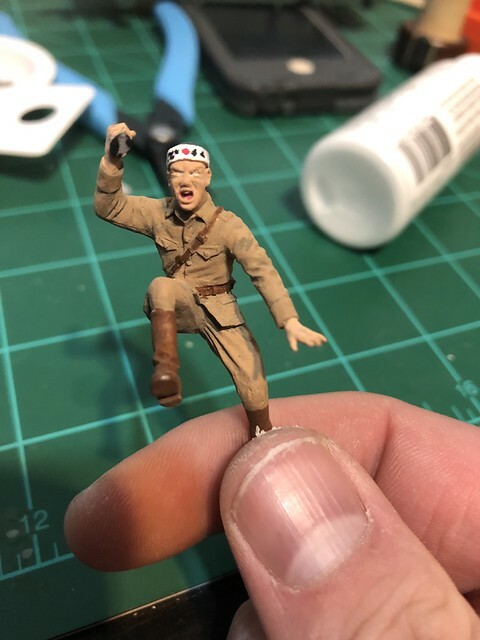 Finished assembling and painting the Japanese officer. 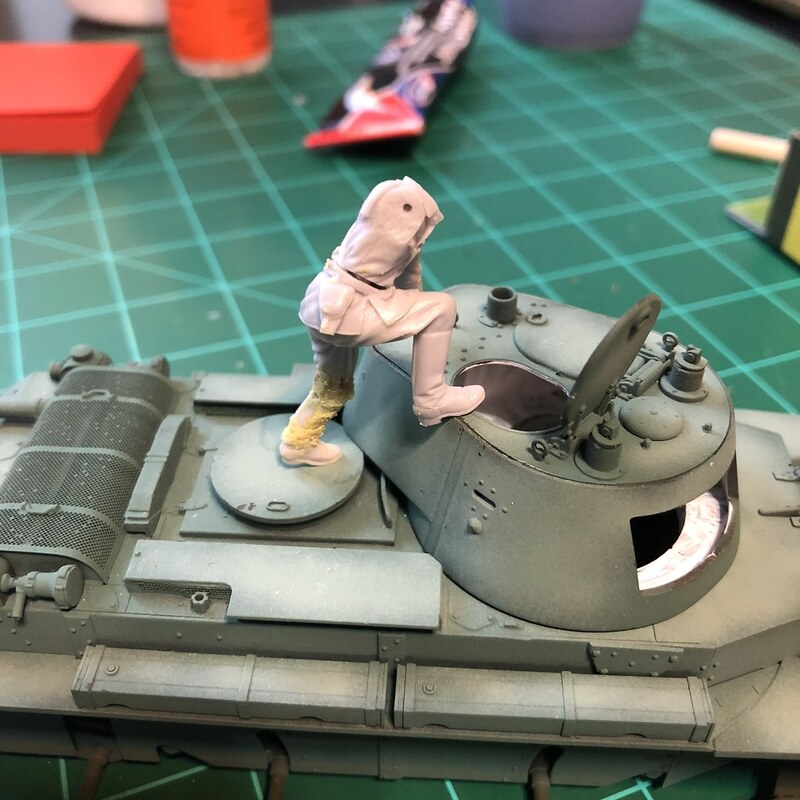 Posed on the tank...next steps will be putting the finishing steps on the tank and weathering. Nice paint work, Josiah. Looks very fierce! That's remarkable! You got good results. 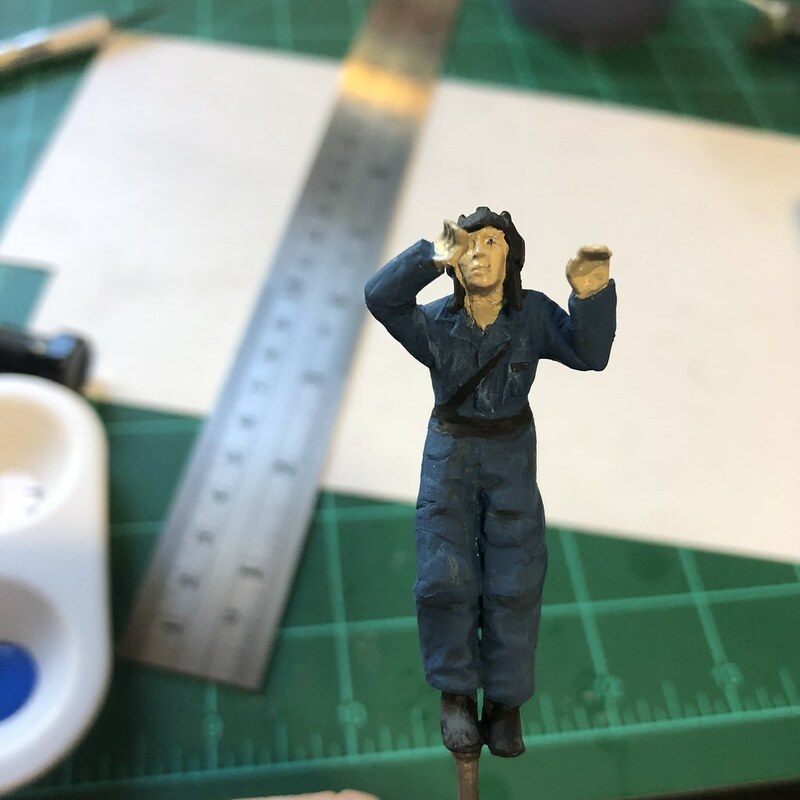 I'll have to try that on some pilot figures I have. If I can do it...you can do it, that's for sure. I like that it's only like 69 cents or some such for a bottle too so if it doesn't turn out well...didn't waste a bunch of money. 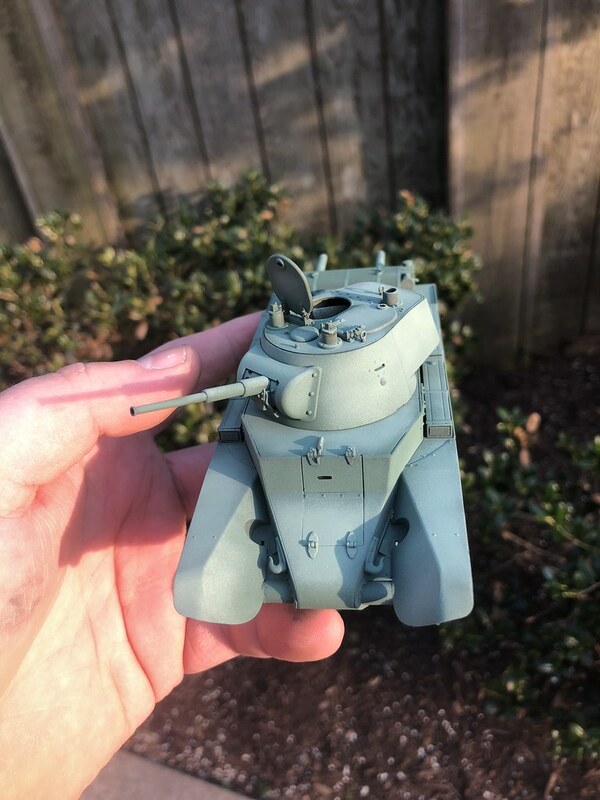 I did pick up some oil paints for the weathering. When I get good enough I may make the switch but for now acrylics are fine! I stopped halfway to take a Compare and contrast...it definitely helped and I don't think the color is too light now. Good looking GB. 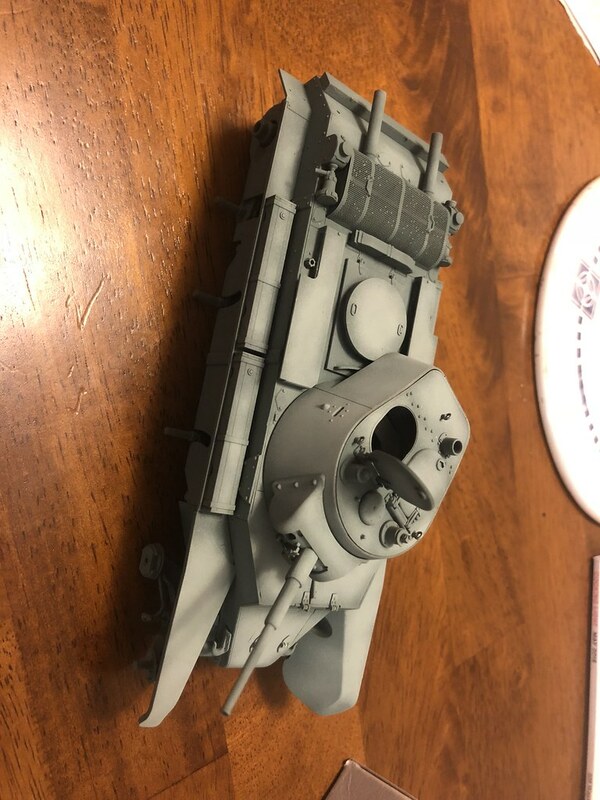 Great to see the finished Revell Ju-52 - I made one and it was a very neat kit. 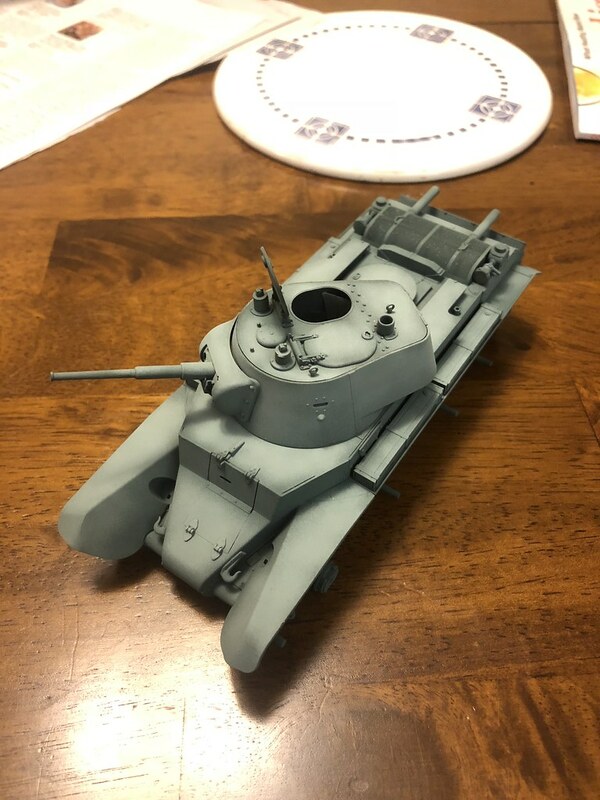 Didn't bother to submit any photos of the Tamiya Panther build, but it's basically done. (Beautiful kit as expected.) Tools etc missing and much unglued - got to paint in sections. Now we start the hard stuff. I've been looking into festivites along the Dnieper in late 43-early 44 leading up to the Korsun slugfest, and there was a lot of armor. By this time most of the Panther Ds were dead - but not all. 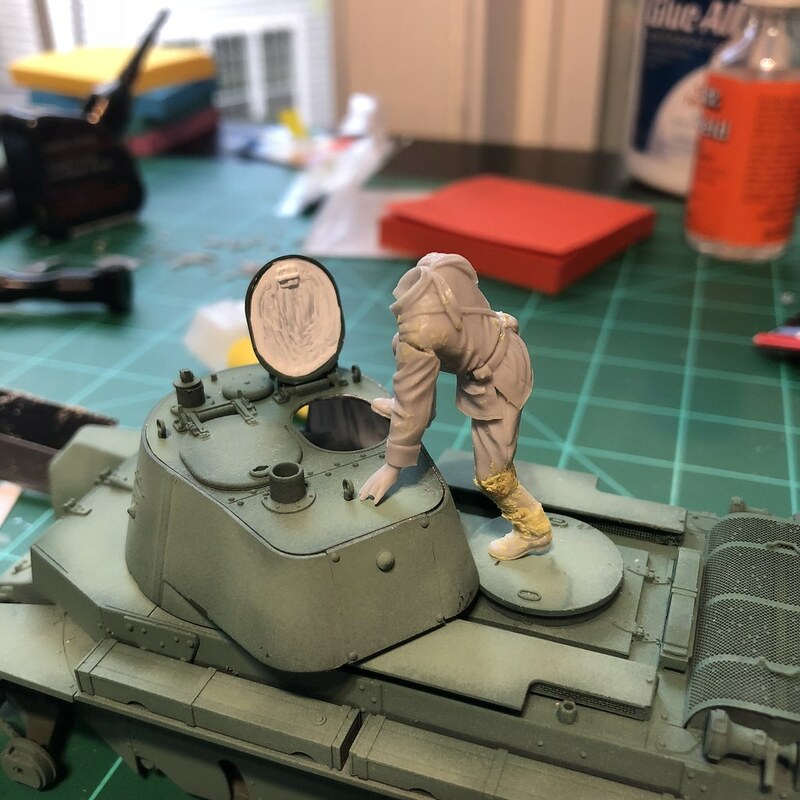 So we'll get a winter build going - make a vignette. Something desolate and ugly: nothing finer than the Eastern Front in January. Looks good, Josiah. You've done very well with the shading and all. 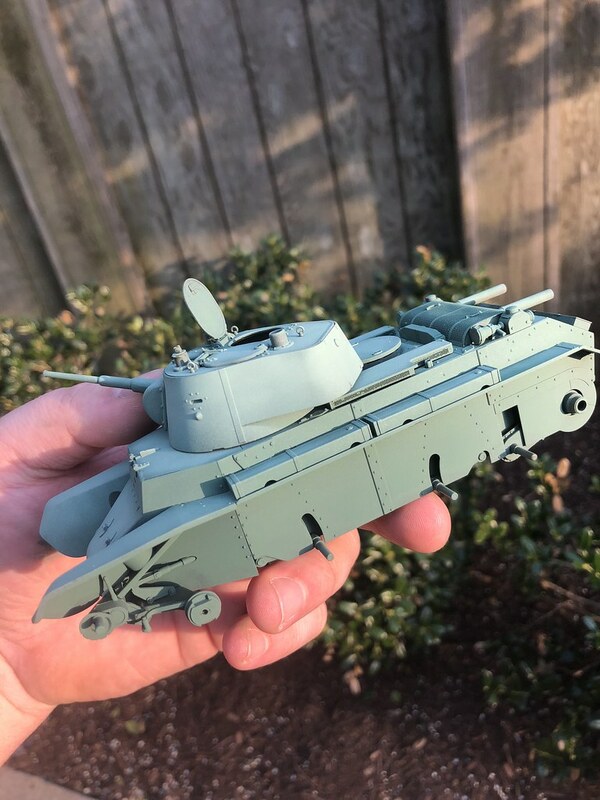 Eric: I think you meant to post the Panther in the 1944 GB; '39-/40 is a little early for this behemoth! Still, it's coming along nicely, and looks quite formidable.